K-T Cattle Company is now Wild Canary Farm! Wild Canary Farm (formerly KT Cattle Company) is a small Family Farm located in the lush Snoqualmie Valley of Washington State. We are blessed with amazing mineral soil, abundant wildlife and a magical river that flows thru our farm. 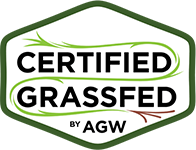 We specialize in exceptional quality grass-fed beef and cut flower fields bursting with countless varieties of Seasonal Blooms. We are community supported; a partnership between the farmers and the customers. Our customers trust us to farm in a regenerative way and to produce the freshest and highest quality food and flowers possible at a fair price. Our customers access our products directly from our farm, or through farmers markets and local retailers. We always use sustainable farming practices, raise our livestock humanely, and share our farm with our community. We are thinking long term, we want our farm to be here for our customers and our community for generations to come. Our Miniature Belted Kingshire Cattle are not your average beef cows! Wild Canary Farm is home to the world’s largest herd of this unique breed. This “heritage cross” has been developed to produce the finest tasting beef available on a diet of 100% grass from our farm. 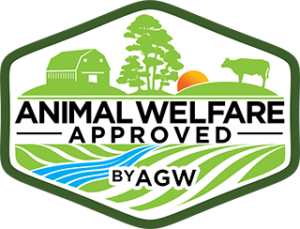 We manage our herd to the highest ethical and welfare standards, our farm is certified Animal Welfare Approved and Certified Grass Fed to ensure the finest beef available. The newest addition to the farm! Our flower fields are bursting with an abundant collection of over 60 varieties including over 110 Dahlias. We make these blooms availible at farmers markets, through a summer cut-flower CSA and direct to you on our Tiny Flower Truck. Ever wonder what it’s like to visit a working farm? Now you can get a taste of the place we love. Our charming Farm Tiny House accommodates two and is available nightly or weekly mid April through mid October.